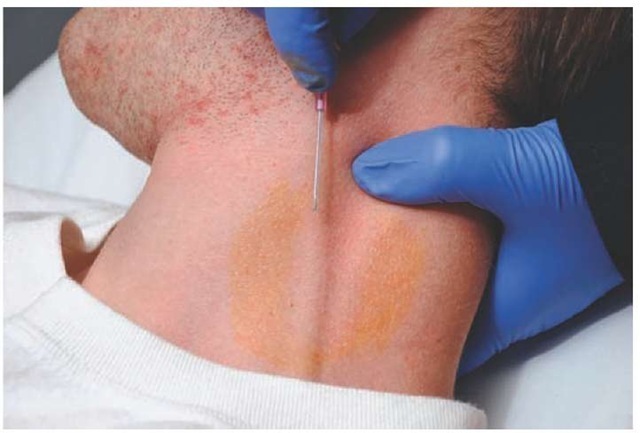 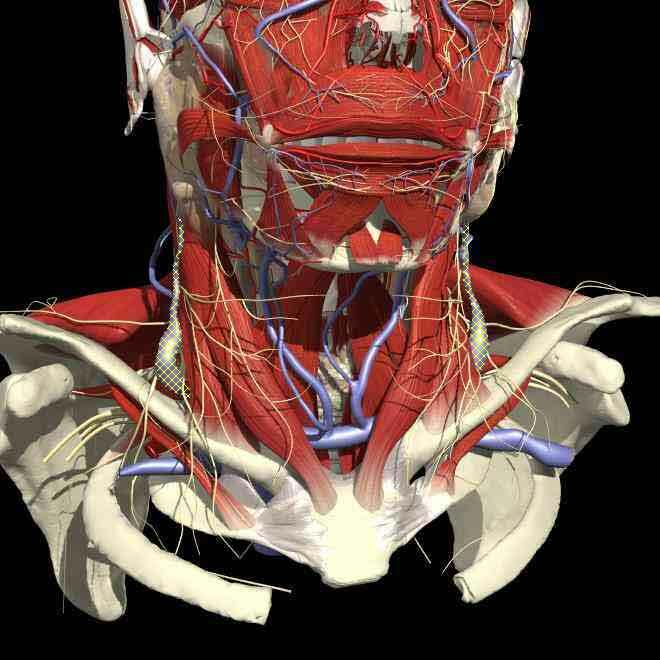 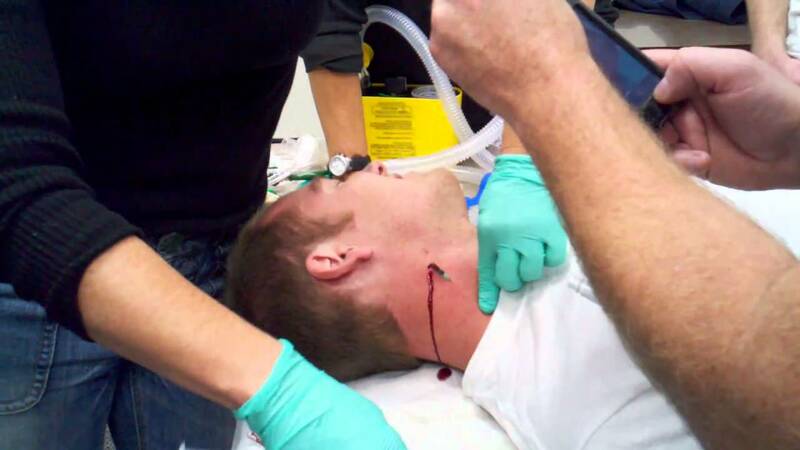 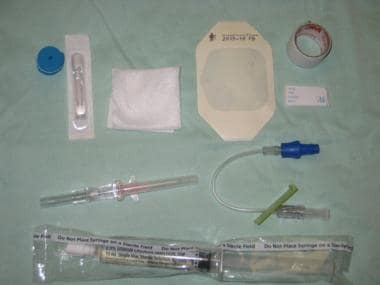 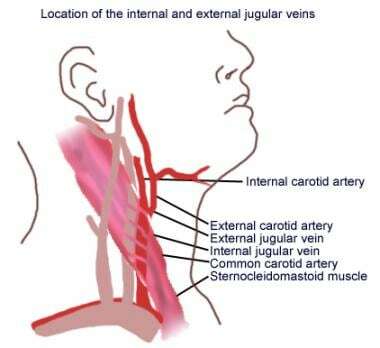 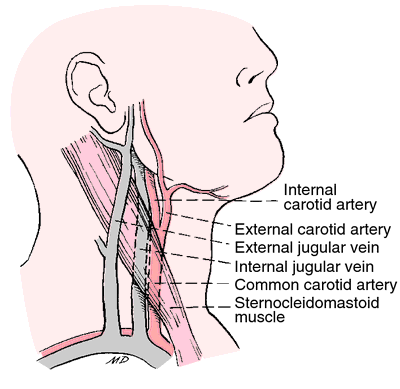 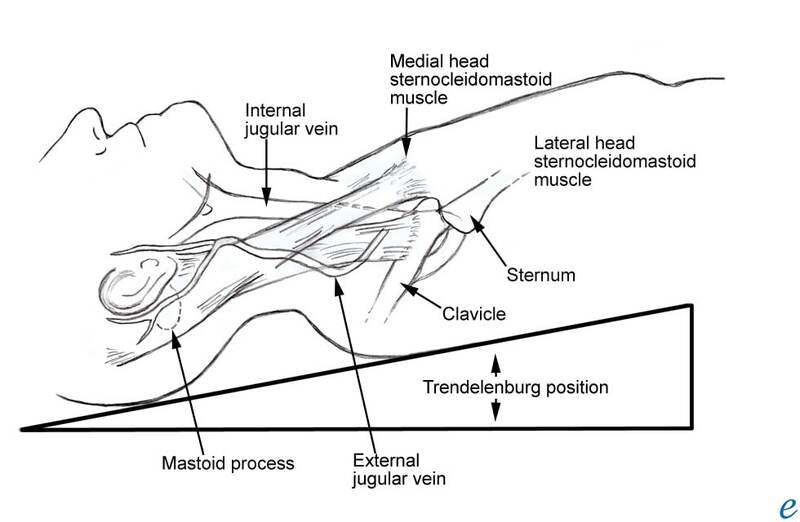 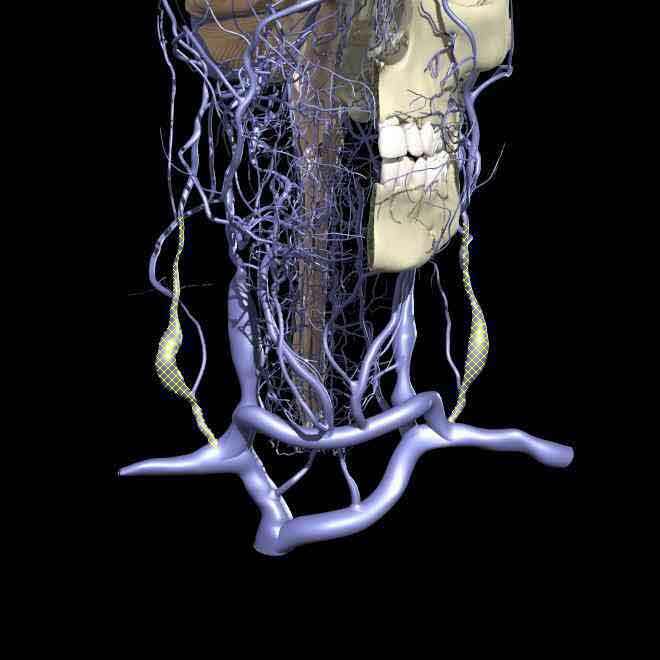 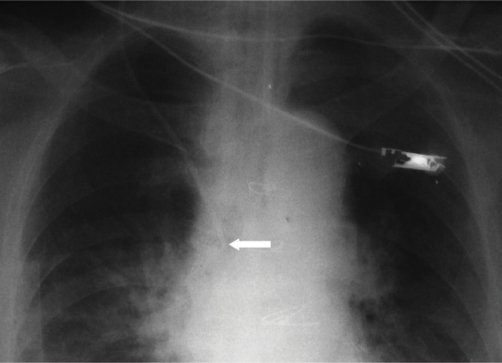 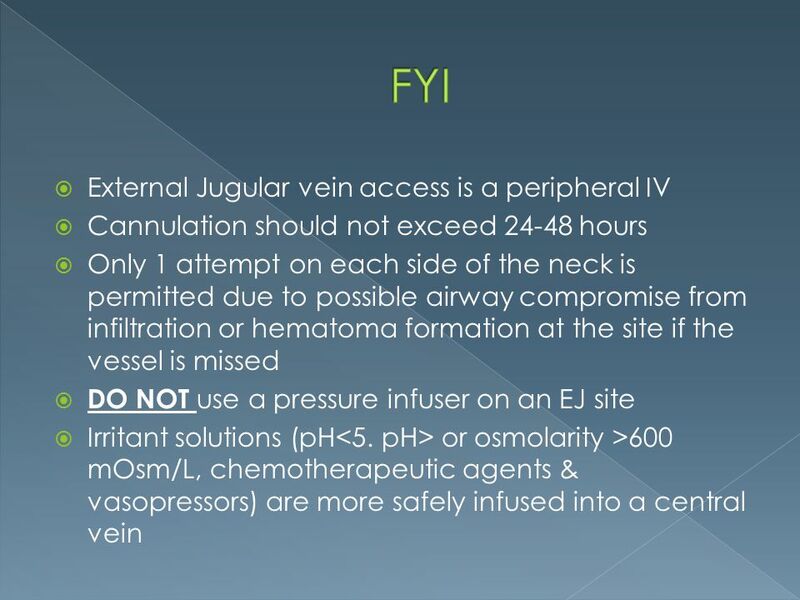 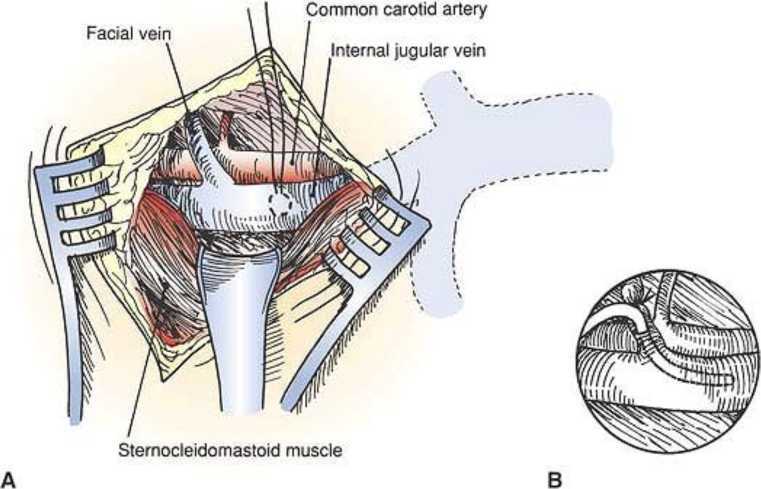 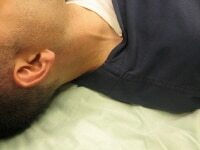 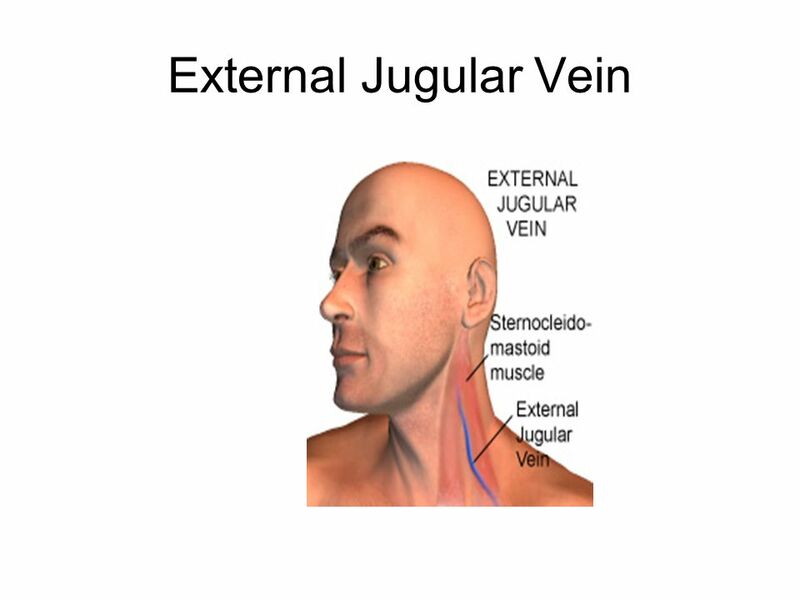 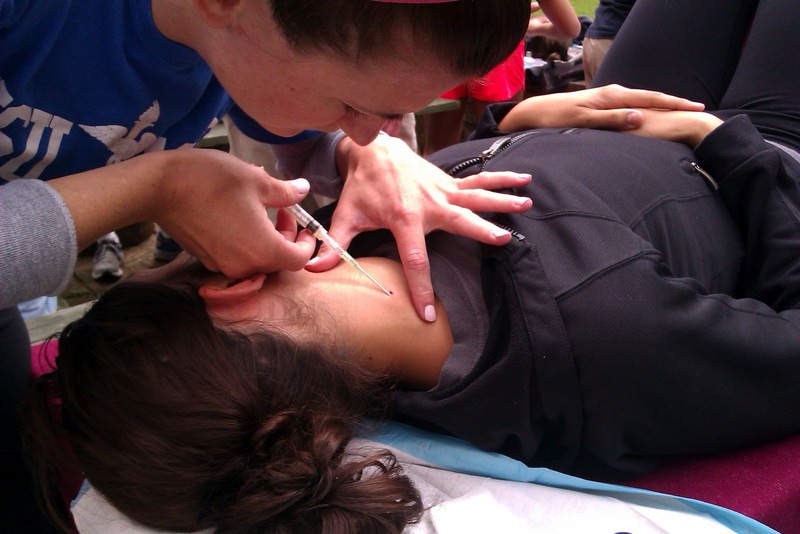 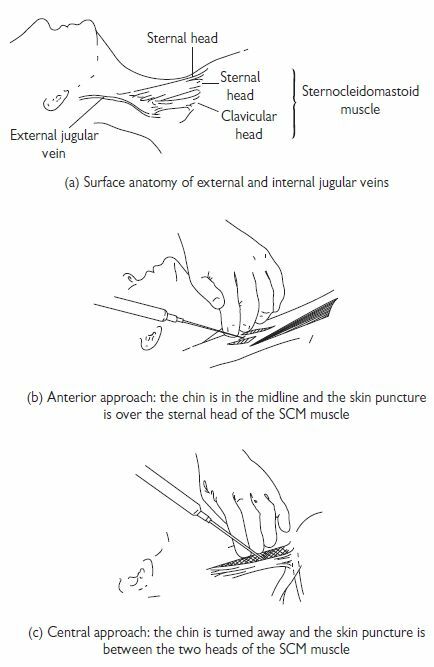 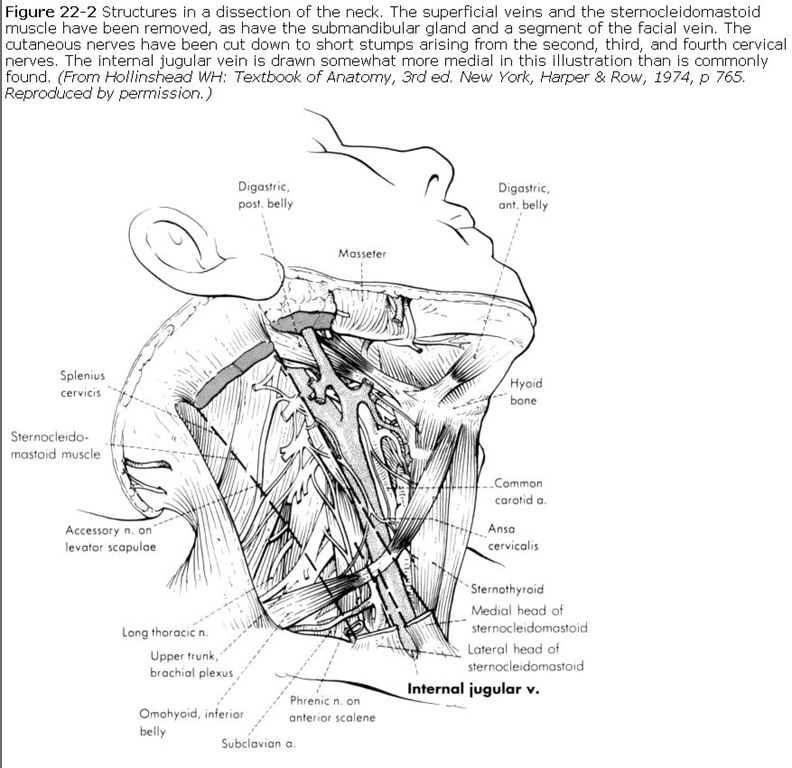 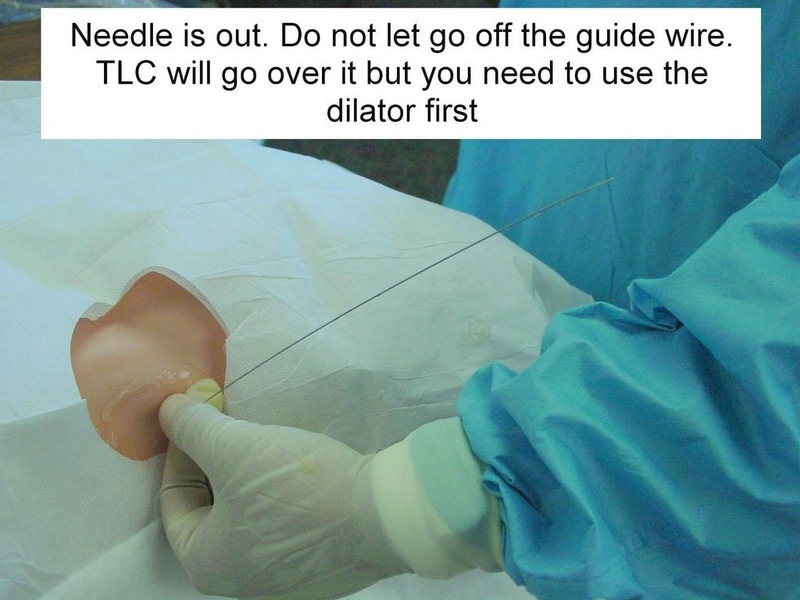 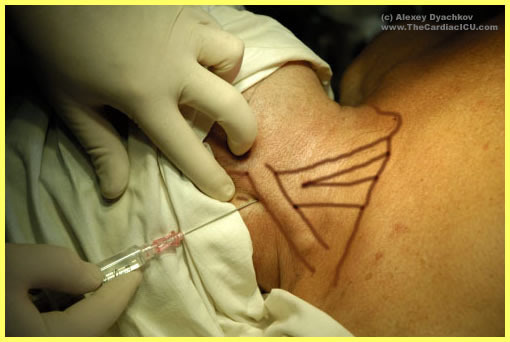 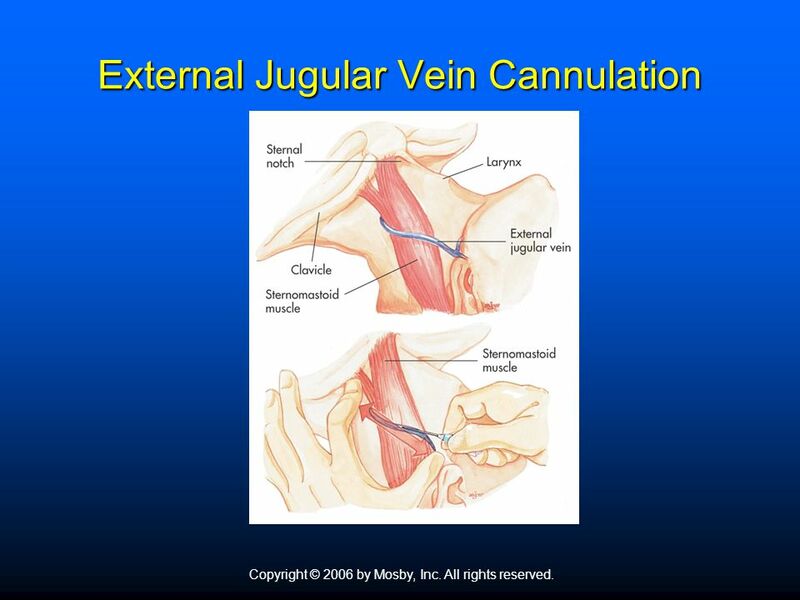 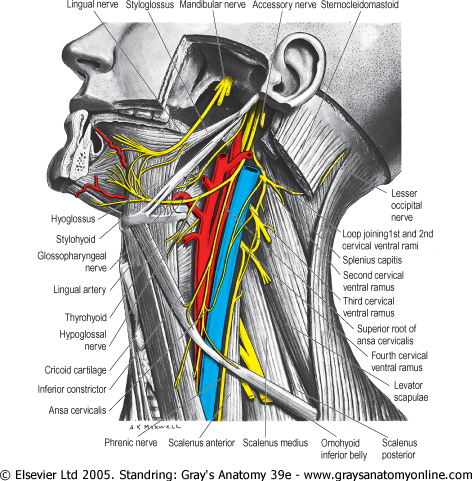 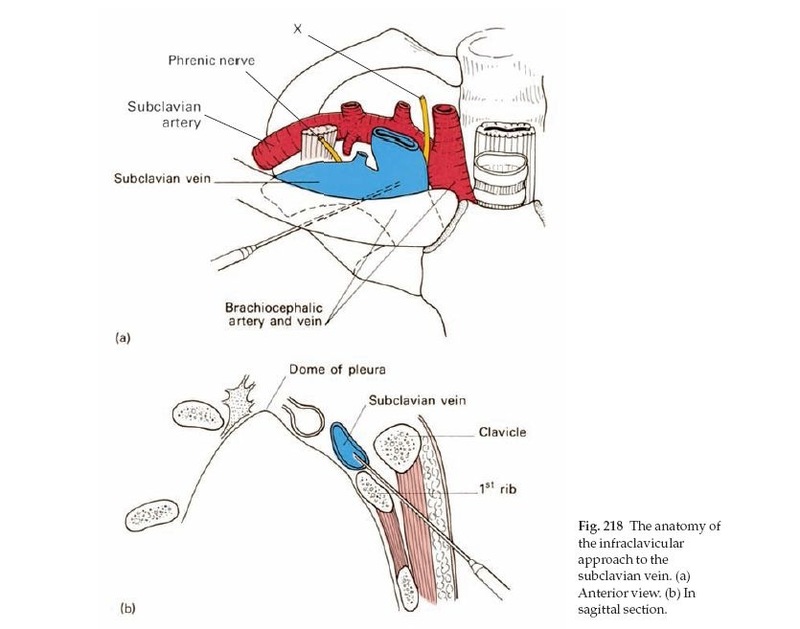 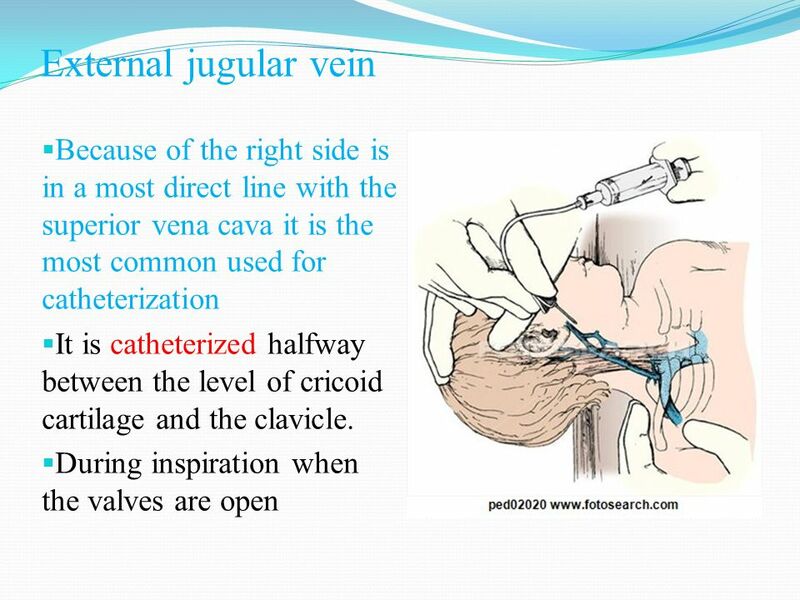 The external jugular is a large vein used in prehospital medicine for venous access when the Paramedic is unable to find another peripheral vein It is commonly used in cardiac arrest or other situations where the patient is unresponsive due to the pain associated with the procedure. 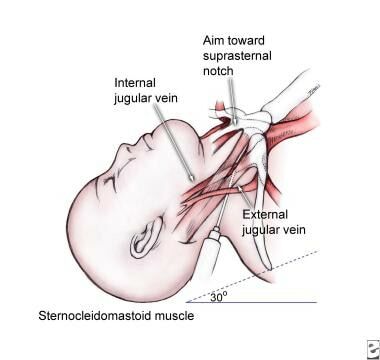 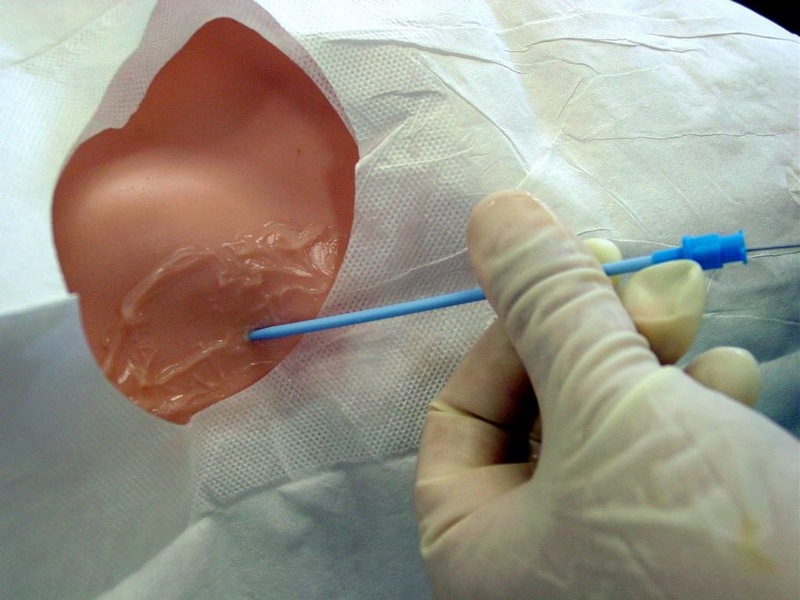 In a cardiac arrest using this vein has the advantage that the paramedic can stay at the head and intubate the patient as well. 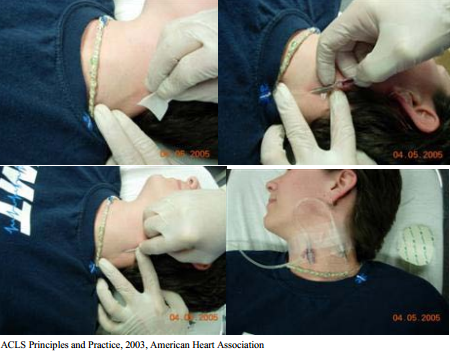 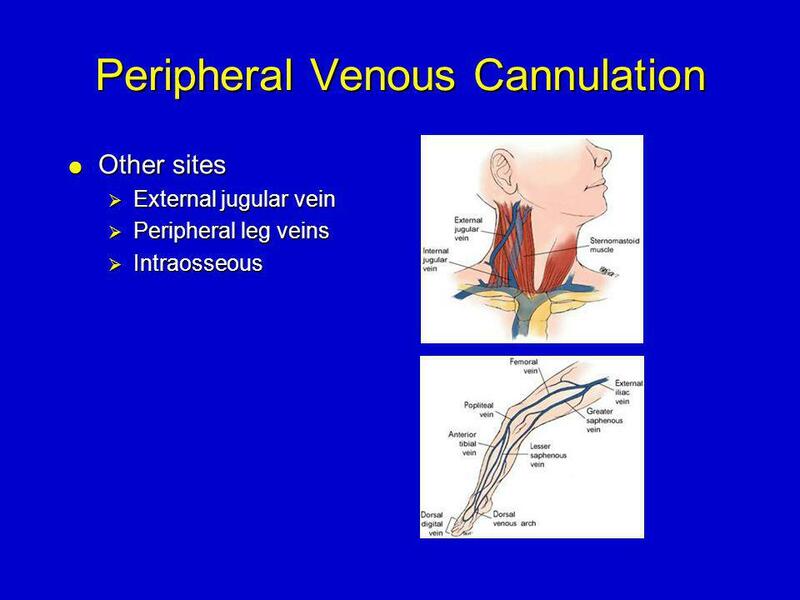 Although many EMTs and paramedics use this vein the American Heart Association still recommends the use of the cephalic vein.